It Means So Much !! Over the past few weeks, our iBikeuBike family has been following, supporting and cheering for Ride to Read cyclist, Kasia, on our twitter feed. 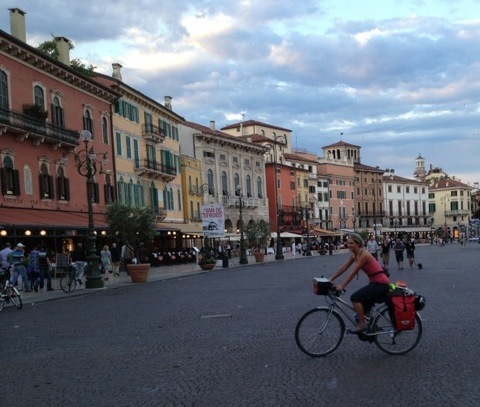 Kasia is traversing Europe, solo, on a bike, in an effort to raise $10,000 and to raise awareness for World Literacy Canada, which supports literacy education for women and children in India. Her travel blog is a pleasure to read and gives lots of details about the project. Or better yet click here for the official Ride to Read video! Currently Kasia is half way through her $10 for 10 days promotion to help boost fundraising efforts as she nears her destination. Today we need YOU to donate $10. • Literacy Take a moment to reflect on how reading has changed your life… or how your life would be if you could NOT read! Pretty amazing, huh? Spreading the gift of literacy is the thrust of this fundraiser! • Cycling It is just so cool. Supporting two-wheeled locomotion is awesome! • Women For women’s cycling, for women’s literacy… it’s about solidarity. Women understand that our daughters’ future will be built upon the accomplishment of women today! • Comfort Kasia is pulling her weight (literally and figuratively!) Let’s all skip one comfort today, whether it is that latte or a rental movie, and donate those bucks to the cause. Be a Rock Star! Make the donation! While pregnant with our firstborn, we spent a family vacation (husband, brother, mother and father) running the Honolulu Marathon for The Leukemia and Lymphoma Society, as part of Team in Training. Training for and running your first 26.2 mile race is challenging and sometimes downright grueling. Shin splints, sore knees, blisters, chaffing in spots that are never supposed to chafe were second only to the joys of pregnancy, including morning sickness 24 hours a day, and stopping to pee for every sip of water…I’ll spare you any more details! There were plenty of moments I wanted to quit, but our commitment to the fundraiser kept me going. After a while, I was driven by a sense of power, accomplishment and a high that came from pushing my body and mind past its comfort zone to the next level of possibility. It was as if I had awoken a giant, the sleeping one that lives inside my 5’3” frame, and lies dormant in all of us. 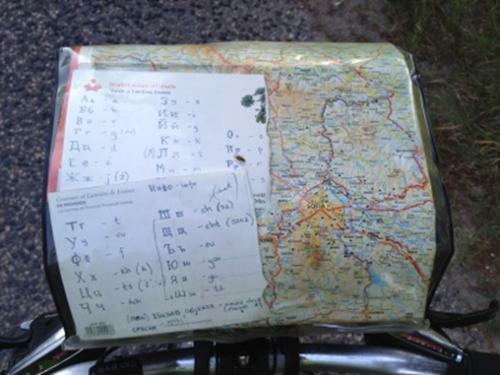 Fundraising from a grass roots level like Kasia’s Ride to Read is a completely different endurance sport. It’s really challenging, and she needs our help! We suffered through Arizona heat hosting yard sale after yard sale; we sweated through concession sales at football games and car washes; anything to raise a buck and raise awareness for our cause. The fundraising effort made our 20-mile training runs look easy! But oh, the people who reached out and touched our lives! There was the elderly man who donated $20 at a yard sale, buying nothing. He shook my hand, crystal blue eyes tearing as he thanked us for inspiring him. There was the 25-year-old widow who didn’t run, but volunteered anyways. She had married the love of her life… after he had found out his diagnosis was terminal, just so they could be husband and wife before he died. Our special “honor patient.” We ran in honor of five-year-old Patrick. I remember him, his little head bald from the trauma of chemotherapy, which didn’t damper the most beautiful, infectious smile or those eyes that twinkled with mischief. The Ride to Read cause of literacy for women and children in India reminds me of our past efforts because it…means so much. I know the joy and pride I felt upon finishing the marathon. It was a shared victory for myself, my family, all of those special individuals who had supported us along the way. Let’s join together to make this finish line experience a reality for Kasia on her Ride to Read. Head over to the Ride to Read website with me right now and pledge at least ten bucks. You will be glad you did. Talk about it, tweet about it, and infuse your day with meaning from this simple act of kindness.